NASH FM 102.5 and Sam Pierce Chevrolet want to recognize East Central Indiana’s Hometown Heroes. Whether it’s someone who volunteers their time for different causes, always helps out their friends and neighbors, or is a first responder, we want to hear about them! 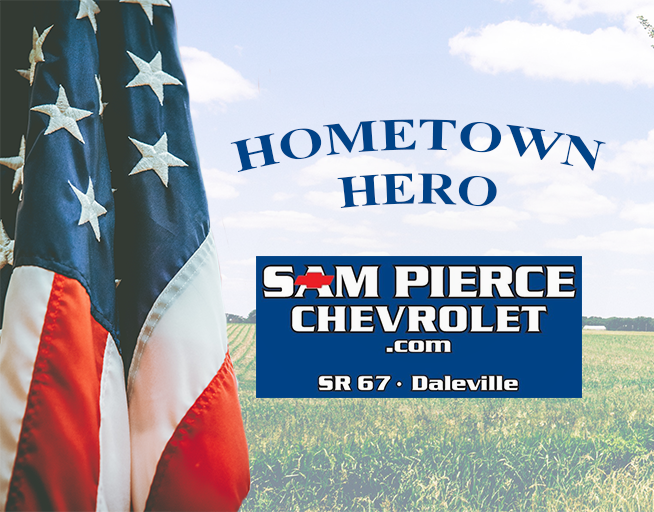 Each month, we’ll select someone to be the Sam Pierce Chevrolet Hometown Hero! But, we can’t do it without you… please nominate someone you know now!